Hi, this is still a work in progress but I wanted to share the approach I'm aiming to for a battery-powered irrigation controller in case can be useful to somebody else. Since I have no way to power a device in my garden, I cannot use neither an electrovalve nor a traditional relay controlling a valve (would drain the battery while staying on). The principle behind is to switch with positive/negative pulses which I've discovered means simply connecting the two wires to vcc and gnd to open and reverse the wires to close. All good but when I tried to control this with two arduino pins, there was no way to have it working and the reason simply is the solenoid requires a LOT of current (I've measured between 0.6 and 1A) which is of course way more than what the board the provide. After some googling I've discovered I needed a H-bridge (http://www.instructables.com/id/H-Bridge-on-a-Breadboard/?ALLSTEPS) to control programmatically the valve. I've tried building mine on a breadboard with different transistors/resistor but the valve didn't switch due to a massive voltage drop. Once gain due to the current draw. I still need to build the rest but this looks like the easy part since I just need to connect the arduino board to IN1 and IN2 and use simple HIGH pulse to open or close. can't you use a regular relay and a small solar panel to keep battery charged? Using a solar panel can be for sure a good alternative but I wanted something without this requirement since where I have to put this I don't have a good exposure and I'm always afraid the battery cannot recharge in a good way. Is the node going to sleep? I have built a device like this, batt operated custom board, but not finished sw and enclosure for the moment (too much projects). I'll use it in my garden soon as seedling has started too here. I also have solar charging option on my board. @user2684 can't you use like 4 relays to supply voltage with different polarity? 2 give pulse for opening and 2 give pulse to close. Maybe not as neat and tidy as the H Bridge but it may do the job without voltage drop. @gohan you're right, a set of relays could definitely do the job, good alternative thanks for the advice! @gohan - I'm struggling to determine why you would prefer to use 4 relays rather than a H-Bridge. If the device is a simple pulse activated device then i don't see any reason to use a relay over a H-Bridge. Is there a specific reason why you would and i'm not aware of that characteristic? Or am I not following your project plans properly? Well I brushed over that because i don't see how a H-Bridge wouldn't work due to high voltage drops. They use these ICs for motors and are fine with that and hence why I kind of brushed over that first point. The board sleeps for one minute, then reports back (with smart sleep of course) and the controller sends a SET message with payload 1 to the relevant child id to control the valves when instructed. On this side with myHouse (https://www.mysensors.org/controller/myhouse) I can activate it manually or schedule the duration of the irrigation for each zone. So the node every minute checks if any commands have been sent to switch on or off the valves, right? How much battery life are you getting? I guess it will depends on how much time the valves are on. In theory you could swap the AA batteries with a 18650 to save some space, right? @gohan that's correct, I'm using exactly the same principle in my boiler controller with the sensor checking in periodically for new commands since battery powered. I do expect a decent battery life since the valves I'm using are pulse-based so it doesn't matter for how long they stay on (as in my boiler controller I'm using a latching relay and since January moved from 3v to 2.75 now.). And yes, 18650 would be ideal for this project. Only concern with that battery is that when the solenoid triggers, it draws a lot of current and I'm not 100% sure a rechargeable battery is as good as a standard one to handle it. @gohan thanks good to know, I will give it a try, a 3 AA pack is actually using too much space! And what about time to control the valvs. Are you requesting from gateway? For power you can use a 4v or 5 v solar panel to charge 1 li-io cell with this charge regulators((https://cdn.instructables.com/FSH/L5F0/IO0G95Y5/FSHL5F0IO0G95Y5.MEDIUM.jpg?width=614)) if regular batteries have poor life, and of course you can hide battery box under a flat rock or a tile because sun heat. on arduino pwm pins you can define how much voltage you send to solenoid with "analogwrite" . @Tmaster actually I came real here just a few days ago so difficult to say right now. I did notice though a couple of situations in which the command was not executed (which is really annoying since having irrigation going for hours would create a lake :P) but I'm not sure if it is because of the valve or some missing messages from the radio (since quite away from the gw). I was also evaluating a bunch of "close" commands sent periodically by the controller to be sure the valve does not stay open forever but it is not very clean. Yes, the open/close logic is in the controller which is sending out a turn on/off message during the scheduled timeframes (https://sourceforge.net/p/my-house/forum/general/thread/2d98b751/). Thanks for the advise regarding the batteries. I'm noticing when the valve toggle a huuuge impact on the battery. After a few tests changed from 4.5v to 3.8v. If confirmed, I will be obliged to move to a rechargeable solution. Regarding the solenoid, I'm using the following to control it from the arduino: https://www.aliexpress.com/item/2-DC-motor-drive-module-reversing-PWM-speed-dual-H-bridge-stepper-motor-Mini-victory-L298N/32648692160.html and seems to work just fine. i think that AA batteries hardly approach the 1A discharge if its your selenoid rate. Another thing you can change is NEVER trust on a incoming signal to shutdown you valve. if power fails or signal is missing ,you selenoid will be open all life because gw never send the signal in time . what i did is: call time from GW , store it on irrigation node ,and then after time out(2 hours) it shuts off alone .in fact i don't have any code to control valves from gw . Gw only receive status for domotics. all time for valves On and Off its on the node. @Tmaster that's a very good advice, especially if keeping it open for too long could create any damage. But I'd rather keep the logic on the controller otherwise I'd need to flash a new sketch on a weekly basis. The timeout approach would probably be more close to my requirements, even if millis() doesn't work for sleeping nodes, I can still work with the time as you suggested. Timeout is a nice safe feature, but also could be that if you loose connection to controller for more than X minutes it should shut everything down. @Tmaster that's my issue, I don't have power there so I was trying to find out a way to have this working with batteries. But regardless of the issues I'm experiencing, the idea to add an additional safe guard is definitely great, thanks again for the advice! Just to share this pointer from a similar project: http://rayshobby.blogspot.it/2010/06/minty-water-valve-controller.html. It is actually way beyond my knowledge to understand all the steps but I guess could be useful for somebody here. Changing valve and stepping up to 24v seems too complex for my requirements but adding a big capacitor could be something worth trying also here. Regarding the abnormal battery consumption, I placed two 330uF capacitor between gnd and Vcc of the H-bridge powering the valve and they seem to help. After a few on and off the battery went from 4.70V to 4.68V so it was not affected at all. Not sure if it is a good idea or not but I thought could help the valve to be more gentle against the battery. I've also added a sleep of two seconds just after the digitalOutput pulse so to allow the board not to suffer of the voltage drop before sending the ack back to the controller (it was sometimes lost before). Regarding the pressure lost at the valve, I was able to gain this pressure somewhere else. First of all I bought new, high quality irrigation sprinklers and they cover with exactly the same pressure almost 50% more ground than the old one. Then I removed a few junctions which were losing additional pressure. Now at least it is usable since I have full coverage of the garden (about 100 square meters) with a single sprinkler. Regarding the safeguard, I've added a very simple timer to my sketch. When a valve is turned on, the time starts (it just counts the number of cycles to make it simple). If too many cycles have passed by and the valve is still on, turns it off automatically. AA bateries can't handle much current. You are feeding an solenoid (coil) that probably requires 1A for switch state and it drains too much from aa battery. Buy a 12v /7a battery from chinese brand for 10€ and use a voltage regulator from ebay and you have you problems gone. Hi all, I just wan't to share with You my idea about controlling bi-stable solenoids (let it be valves or latching relay, doesn't matter). And I wonder why nowbody considering this solution. I'm talking about this kind of circuit http://www.avrfreaks.net/sites/default/files/Latching relay driver.jpg. 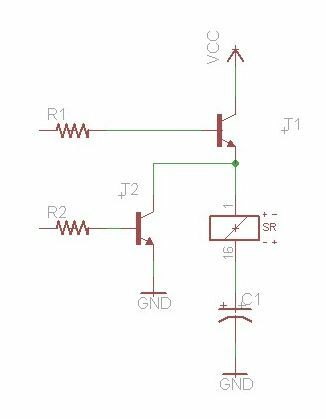 And those two transistors that have to be controlled with two pins may be replaced with a push-pull driver like L293 (or L203DD which has built-in clamping diodes) which can be cotrolled with just one pin (HIGH - open; LOW - closed). This L293 will make the hardware interface the same as with monostable relays. @user2684 How is your project going now? I am trying to use the same valves and diver board but I can not seem to get it to work. Could you answer some questions for me in order to help me get it to work. Am i right in saying that if I connect the power leads of the valve to a + source (Li 18650 4.1v 2500ma) it should open the valve and the if I reverse the the leads it should close the valve? @ionu very sorry for missing your reply for more than 6 months but I didn't get any notification Your understanding is correct, if you just connect the + and - of the battery to the valve you should hear a "click" and if you reverse the wire, another "click". I wonder if that battery would be powerful enough, I've noticed that valve drains really a lot of current (>1A) when triggering. Try with AA batteries at first, just to check if the valve is functioning. Rain and soil moisture are connected to A4 and A5, reports every 10 minutes and are powered on just before taking the measure through pin A1. The button through the hooking function toggles the valve, when pressed. The valve (or better the H-bridge) is connected through pin 5 and 6 (off and on). The node wakes up every minute to pick up from the controller new orders (using smart sleep). There is also a safeguard of 60 minutes (if something goes wrong with the communication, irrigation is turned off regardless after 60 minutes).